Tired of running on the treadmill? Need to incorporate more hills and sprints in your training? 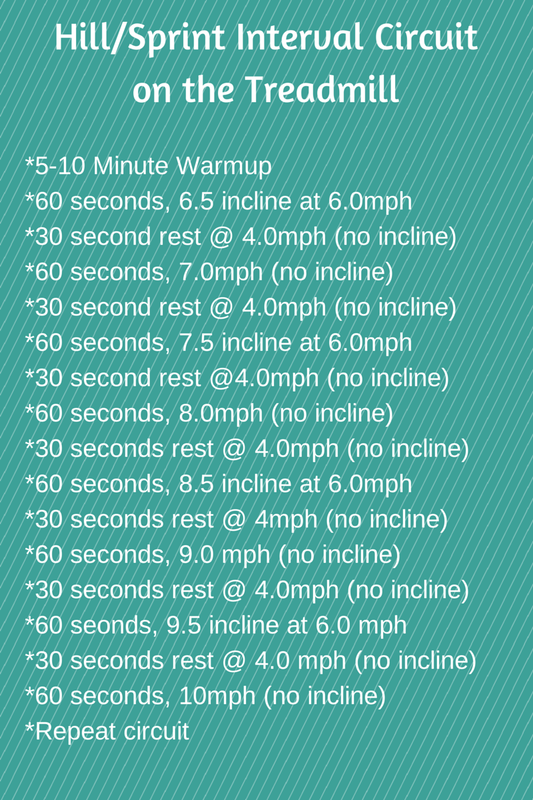 Here is another quick circuit to use on the treadmill that can take you out of the treadmill slump. It took me about 30 minutes this morning to complete this circuit and I loved it. Total time will vary depending on your warmup length. It alternates hills/rest/sprints. The 30 seconds rest is just enough to lower your heart right before the next interval starts. Hope you try it out and let me know if you liked it! Not only did I break a mean sweat with this circuit but I also enjoyed doing it! No weight training today since I was running a little later than usual. Just did some stretching after running on the treadmill and some quality sauna time to decompress before getting ready to head out to work. 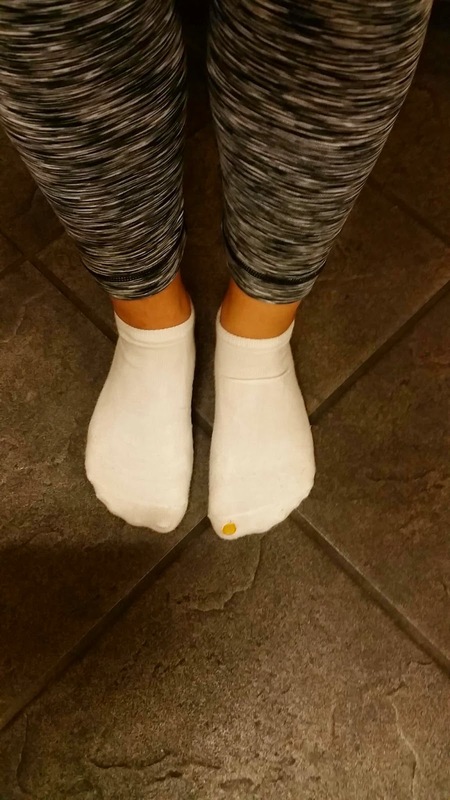 Then this happened...Look closely and you'll see the hole in my sock that was not there before I started working out this morning. Ugh! And I just bought new pairs too! Oh well...runners problems! Hope everyone had a great Tuesday! New recipes coming later this week! Do you enjoy running on the treadmill? What is the longest time you've ran on it? 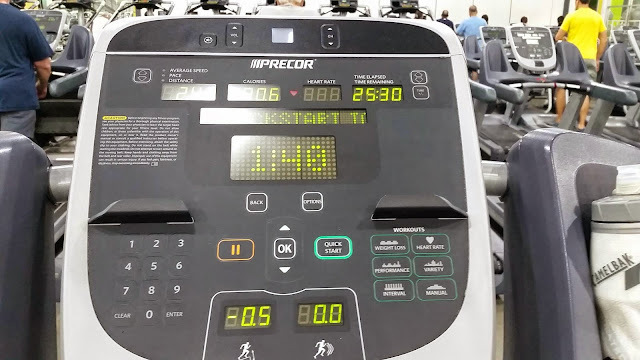 I always love finding treadmill workouts bc I hate the treadmill! lol workouts make the time and miles go by faster. Thanks for sharing! I also can't stand running on treadmills! That's why I have been doing interval circuits to keep me busy.